After announcing it was evaluating service between Taipei/Taoyuan and Ontario nearly a month ago, China Airlines made it official on Friday in a ceremony at Ontario Airport. When I tweeted the news, the responses ranged from “are they insane?” to “this’ll be an interesting experiment.” I’m sure most of you are expecting a scathing take-down from me since I’m naturally skeptical about nearly everything. But after spending time at the airport, with elected officials, and with the China Airlines team (including an interview with Chairman Nuan-Hsuan Ho, below) on Friday, I’m actually starting to come around on this one. Keep reading and let’s see what you think. The announcement itself was somewhat odd since it didn’t include a start date, flight times, or even a set number of weekly flight frequencies. Instead there was a signing ceremony where Chairman Ho officially agreed to start service in the spring. With such a vague announcement, how can I think this might work? It’s because this is about a lot more than just a flight. It starts with a city and county that loves and supports its airport, seeing it as an integral part of its economic growth plans. Considering most other cities in Southern California prefer to be at war with their airports, this is a huge breath of fresh, Jet-A-filled air. In July, a delegation from Taiwan came out to Ontario as part of the program, and Chairman Ho was with that group. As he noted to me in our interview (through a translator), “Ontario Airport expressed a great interest in having us operate at Ontario Airport.” But this wasn’t just about the local relationship. The Chairman continued “Rep. Ed Royce also asked me the same question too.” Never underestimate the power of politics. It should be noted that Rep. Royce was at the ceremony on Friday. He’s a Republican whose district straddles Northern Orange County, Eastern LA County, and Southwestern San Bernardino County. His district is just shy of 30 percent Asian, and every one of them would find Ontario far more convenient than LAX. He also happens to be the chair of the House Foreign Affairs Committee which means he has considerable influence. He wasn’t the only national elected official at the event. Rep. Norma Torres, a Democrat whose district contains the airport, has been a recent champion of the airport. And Rep. Ken Calvert, a Republican whose district starts south of the airport and moves southeast toward Temecula, is a big supporter. As a member of the House Appropriations Committee, he too holds a lot of sway. With this kind of political and economic willpower, it’s easier to understand how this service came to fruition far earlier than anyone anticipated. But will it be sustainable? I turn back to Chairman Ho. Even before all this, the Chairman admitted “we had thought about flying to Ontario Airport before.” But after nearly 50 years of service at LAX, I asked why they would fly to Ontario now. The hard part will be getting these people to change their behavior since they just automatically think LAX first today. Oh who am I kidding, that’s only one of the hard parts. There’s also the issue of having no feed domestically. At LAX, Delta can bring people from all over the US and connect them to China Airlines. In Ontario, those handful of regional jets to Salt Lake City aren’t going to help, but Chairman Ho didn’t seem overly concerned. The large local market between the region and Taiwan is a good base, but there is also tremendous opportunity to Southeast Asia. Apparently other airlines see the value as well. According to Chairman Ho after learning China Airlines would start flying to Ontario, fellow SkyTeam-member “Vietnam Airlines is asking us for a codeshare partnership.” Besides the large Vietnamese base in the region, Filipino traffic is expected to be a big driver as well. If they’re so confident, why hasn’t the final schedule been announced? There is work that the airport needs to do to be ready for this service, so they don’t want to put it on sale until they’re confident it will be done in time. For its part, the airport has no doubt it’ll be ready. If all goes well, look for flights to begin at the beginning of the IATA summer season at the end of March with flights on sale by the end of this year. Of course, there are incentives here. Ontario is waiving landing and terminal fees for a year (as it would do for any airline starting a long haul flight). Chairman Ho confirmed that the “majority of incentives are from Ontario,” but I didn’t get any specifics beyond that. With all of this lining up, I can see why this service is happening and why it’s worth taking a shot. LAX continues to get more and more expensive with every multi-billion dollar project it starts, and it is starting to hit a point of gridlock on both the landside and the airside. It makes sense there would be an alternate airport to help deal with the region’s growth in the future. Ontario is the only game in town, and it happens to serve Asian populations in the Southland very well. If there’s one thing I really don’t like, it’s that China Airlines is using a 777-300ER for this flight. That is a really, really big airplane. I’d feel much more comfortable with a 787-8 as a trial balloon, but China Airlines doesn’t have one of those. It does have the smaller A350-900 (306 seats instead of 358), but remember how I said politics was involved? One of the members of Congress (can’t remember which) noted how happy they were that China Airlines was using an American-made Boeing aircraft for the route. I’m not even going to get into how silly this argument is, because it’s all about optics. The 777-300ER was really the only option on a route where politics matters. On its own, I would be cautiously optimistic, at best, about a 787-8 trailblazing a route like this. But seeing all the political and economic work that has gone into creating a relationship here, I think even a 777-300ER is going to work, especially if strict profitability isn’t the only metric that matters. Then again, maybe we’re all underestimating Ontario, and it will work on its own. What’s most exciting to me about this is that we finally have a guinea pig. The airport is armed with data showing how the demographics make sense for an Asian flight from Ontario. The numbers never tell the full story, however. Now we can really find out if this will work in practice. 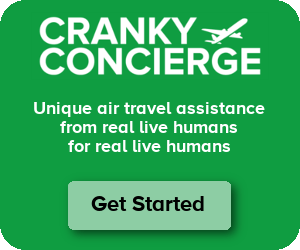 If it does, I’d expect to see several other Asian airlines looking at service. After this announcement, I’m sure they already are. When President Trump was elected he broke protocol and took a call with the President of Taiwan, angering China. The airport is represented by the Chairman of the foreign relations committee. And they’re throwing a too-large Boeing 777 on the route because ‘Merica. Glad I’m not the only one who was thinking that! I do agree though that with the geographic extension of L.A., using secondary airports also as international gateways might make sense – maybe BA should consider a 787 service? Konstantin – The key is finding out what kind of markets can be supported at an airport like this. London and the rest of Europe is far less likely to be successful because the demographics just aren’t right. Mexico works because there is a large population visiting friends and relatives. That’s easier to support a short flight but it’s not enough to support a long one to Asia. But the Asian population in the area isn’t just going to be for visiting friends and relatives. There is business demand there. It won’t be easy to shift their behavior, but it makes sense this is the first scheduled intercontinental flight at the airport. If the 777 can’t be filled with passengers, that will leave more room for cargo in the belly for the local region and to pass on to UPS. Don’t they still use ONT as a hub? David – Yes indeed. I actually talked to the head of cargo in the US for China Airlines there. He said that they do expect to be able to get a fair bit of cargo in the belly, but it’s not a guaranteed success story. He mentioned that many of the freight forwarders which feed them in LA (and elsewhere, they have a huge dedicated freighter operation in the US) don’t operate at Ontario, so that will need to change. A flight like this could encourage that kind of change. The cargo will be the key! The 777-300 has had a huge impact on the Asian market, with 44 LD3 positions. With the frequency of belly capacity to/from Asia,lots of freighters have been parked. Regarding the passenger success of the flight, I’m skeptical. The airport, to be a true LA Gateway, needs to be supported by transit. All other airport around the wold – ICN, HKG, NRT, LHR, etc have train service connecting the airport with the city. It’s kind of comparing apples to oranges, but all of these airports are miles from the city they serve. Perhaps a “Fly-Away” type service will better promote not only CI, but other carriers also making it a true “LA/Ontario” Airport. I assume there is no contractual requirement for them to actually operate a 77W? In other words, is there a reason why they couldn’t silently switch to a smaller aircraft by the time they actually launch the flight? Oliver – That’s correct as far as I know. The problem is I do think the A350 is probably the only other airplane that could make it in the fleet. That’s still not a small airplane, but it could be an option down the line. Good move! It will start a trend and it will be successful, in my humble opinion! Maybe one of the ULCC’s see an opportunity here also? I realize that many will disagree but ONT can be even more successful if they use a name that is more reflective of it’s geographical location than a Canadian province? Perhaps a few passengers heading east instead of west across the Pacific will help to clarify this need? Frontier is starting service from ONT. Thank you very much for your permanent supporting information. For anyone in the Inland Empire driving to LAX to fly to the Far East, this new service will be a “God send.” Don’t forget, this route will be a spoke in China Air’s Taipei hub. And think about Norwegian’s US services (very full). My daughter just flew yesterday Oakland-Barcelona on a full flight (no connecting hub on either end). Is China Airlines still owned by the Taiwanese government? If so, that would explain a lot. Todd – I believe it’s majority-owned by an arm of the government, but I can’t find a current breakdown. I know they’ve talked about further privatizing before. Ordinarily I’d hate this idea, and yes the 773 is too big, but Vietnam and the Phillippines will drive volume, and US connecting traffic can backfill some of the LAX seats if local pax use ONT. The ethnic communities are closer, and that’s not nothing — LO would be at EWR full stop if Greenpoint was in New Jersey, what with *A UA over there as well. Which is my own devils advocate point — I’m not sure this will work. But it’s not nutty, and honestly LAX should support it. No carrier serving LA-TPE is going to abandon LAX for ONT full stop, but this could be a good guy. I’m with Snyder though — I like a smaller gauge trial balloon. Seems like the kind of route where a 787 would be ideal, but Air China doesn’t have them in its fleet. Anyway, I think it’s been years since I last read some *good* news about ONT, so this was refreshing! China Airlines (Taiwan) and Air China (mainland China) are two different airlines. China Airlines does not have any 787’s on order. The ONT-TPE will go up to a daily flight at peak season, so the 777-300ER may work out fine. ONT is closer to the demographic of passengers that will support this flight. This new route is a huge win for ONT and if it works well other carriers and routes will soon follow. About 2008, Korean Air previously expressed an interest in ONT. They have 787’s on order. So….where do they fly and for how much it cost? Are there plans in the works to get International Arrivals relocated from the old terminal to one of the two newer ones? Perhaps that’s why they don’t have a specific date for the start of service. Sean – For now, international arrivals will stay where they are at that awful old building. I think the work they need to do is primarily around creating an international environment for departures, including making sure holdrooms are big enough, etc. They’ll be in Terminal 2 (east end, I believe), and eventually that is likely to be built out with a new arrivals facility. But they don’t need that to start. I remain unconvinced that this can work, especially with such a big airplane. As you point out, changing people’s travel habits and feed are two very large problems. Without a really massive (and uneconomic) ad campaign, who would even think to look for a service to Taipei from ONT? Possibly they can fill seats with tour groups, but then there would be a yield problem. As I think about it, I would expect most of the traffic would be VFR and vacation anyway, so yield will definitely be a problem. I give this service, if it ever starts, about 4 months max before it’s shut down. My guess is that the 773 would give them more room to sell the bottom of the plane. This seems like a good route where they can play for the flight with cargo. I like the idea – any chance Disney is very interested in incoming Asian passengers / “cute mouse” lovers? Jonas – Yeah, I’d imagine Disney might take notice of this flight. Then again, Disney doesn’t need to do anything to goose demand. It’s more of a selling point for China Airlines that this is a faster way to Disneyland. As they say, follow the money. Do you have any insight on what the airport is putting up? Or the chamber or other entities? David – Yeah, it’s just a standard incentive program from Ontario. I don’t know about anything else from other entities though. Taoyuan is a wonderful airport and it will be easy to connect from there to many Asian destinations, so Taiwan is certainly not the only real destination here. All my HTC co-workers strongly preferred EVA Air so I’ve never flown China Airlines, but if their product is similar to EVA, it will be an easy sell. I wish them luck with this new flight. I’ve never flown EVA, but I did fly CI last year and the product hard product was really good. I was in J on a 773 and it was a herringbone flat bed seat that was really comfortable. The food was just OK, but it might have been because I flew CX on the outbound to HKG and DPS. However, it was 10 across in Y, which isn’t very good IMO. I’ve flown both on the LAX-TPE route. Overall they’re similar, both have some plusses and minuses. EVA is still 9 across in Y on the 777, while CI is 10. CI does have Air New Zealand’s Family Couch option as well. They’re both 8 across in Premium Economy, but CI’s has a newer hard product. Brilliant. Absolutely brilliant played by both sides. CF, what infrastructure is not in place for this to happen? Brilliant. Well played by both sides. @ CF, what infrastructure isn’t done for this to happen? ctrl+z! obviously just need to answer the question once. I wonder if there is any chance Alaska would go for a codeshare on this. Probably not the perfect connecting airport, but if it was a cheap seat it might help fill the plane..
Nick – Not sure about a codeshare but an interline, sure. I’m surprised that CI still doesn’t fly to Seattle. You would think they could get a lot of feed from DL these days especially since DL doesn’t even fly to TPE anymore. D-ROCK – Absolutely… except for the fact that Southwest is still a couple years away from interlining at last check. It’s just not a priority for some reason. Do they still have the Volaris interline agreement? D-ROCK – That never happened. Volaris (and WestJet) finally gave up when Southwest couldn’t get its act together. I’m a couple days behind on this one, but my better half (who is from Taiwan) can’t wait for this service to start, as it could be building blocks to a quieter experience to Asia for SoCal residents (remember when BUR used to be that?). We’ve been searching for 2 years to purchase a house and prices anywhere East of Downtown LA are insane. As such, we’re looking into the Monterey Park/El Monte areas where there’s still some sanity in price. It’s anecdotal, but there’s a generation ready for home purchasing that won’t get it unless they move to the environs served by ONT. Even if they did 3x weekly flights, I have to think it would start attracting other carriers to feed them to routes in Asia. I also wonder if this is taking into account the Southern California population growth in the desert communities. PSP seems to be growing fast (during the high season at least) and what if some of those flights decided they’d divide schedules between ONT and PSP. I’m all for more options and ONT looks to be it. Best of luck to China Airlines. Great Article!!! ONT is always a “chicken & egg” problem with getting airlines to serve it. But you’re right–there are substantial Asian communities east of the 605 which would love to avoid “the LAXative airport.” ONT should do a marketing campaign with Disneyland and all the Asian airlines to attract customers. Once ONT gets more international flights, the domestic feeder flights will come. The MTA Gold Line extension to ONT, if and when that ever happens, will also help. My family and I are flying to the Phillipines in late December from the LAXative, and we’re not looking forward to that ordeal. ONT taking even 1/16 of LAX’s traffic to China and the Philippines would make LAX a lot more pleasant to deal with. The flight times were released, and they aren’t good for connections to the Philippines or Vietnam from ONT. An overnight in TPE will be required.